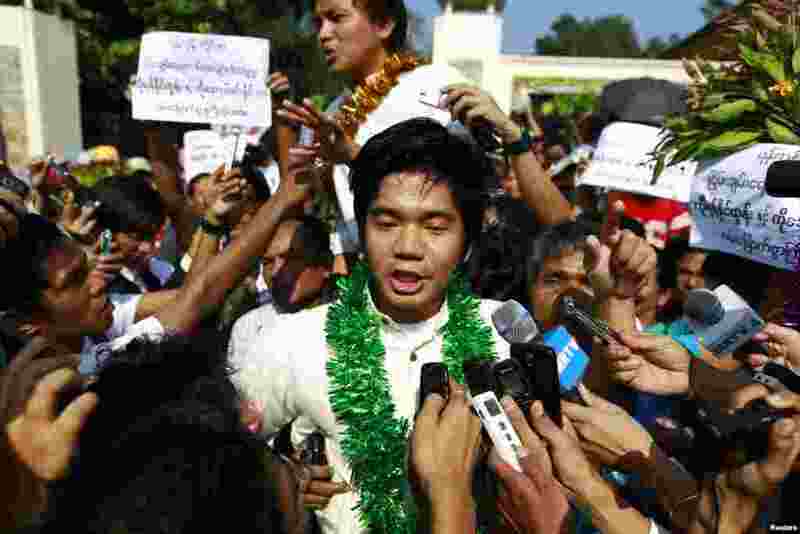 1 Political prisoners Yan Naing Tun (C) and Aung Min Naing (back C) talk to the media after being released from Insein prison in Rangoon, Burma, Dec. 31, 2013. 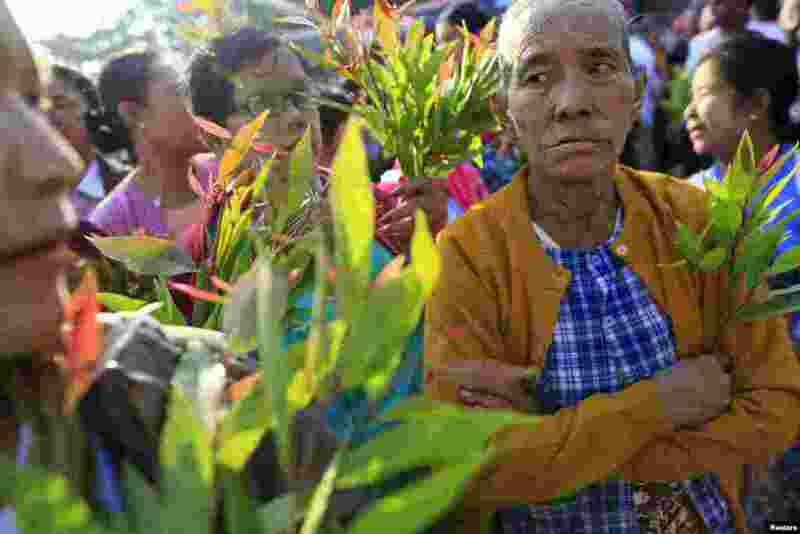 2 Family members hold leaves as they wait for political prisoners to be released from Insein prison in Rangoon, Burma, Dec. 31, 2013. 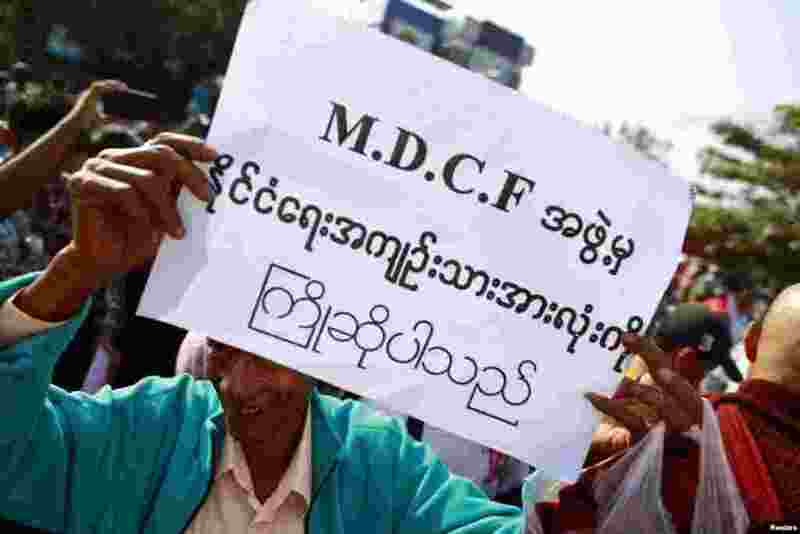 3 A man holds a sign as he waits for political prisoners to be released from Insein prison in Rangoon, Burma, Dec. 31, 2013. 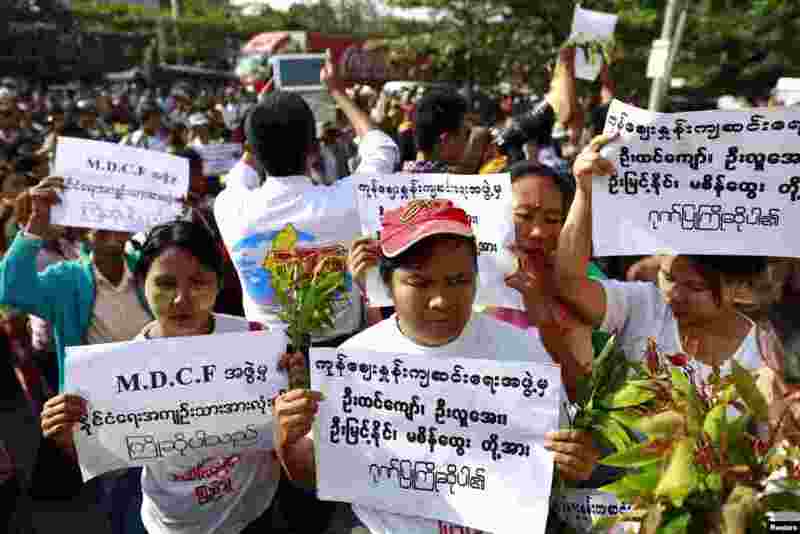 4 Family members hold signs as they wait for political prisoners to be released from Insein prison in Rangoon, Burma, Dec. 31, 2013.